How well do the children in your Kids' Church or Sunday School know others within their church family? Do members of your church know and interact with the children? Mary Kate Warner (Sunday School Teaching Tips) maintains that children who feel like they belong to a church community will want to come along and be involved within the church family. She suggests a "People Scavenger Hunt". Ahead of time, announce this upcoming activity to the church so that they are aware of what's happening. Children are given a list of people to find - the pastor, someone from the choir, someone who greets at the door etc. Children take their sheet and find these people and ask them to sign their scavenger hunt sheet- obviously, not during the service. She gives the kids a couple of weeks to complete their activity. 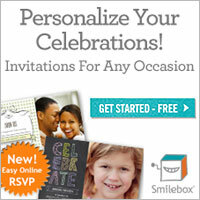 We've prepared a handout for you to download so that you can run this special event with your church and encourage your kids to feel connected in.... and it might just surprise and delight the adults, too.